This 40 credit module can be studied both at diploma and degree level and will enable you to provide specialist renal care and information to patients and their families in cases of renal disease, dialysis and transplantation. 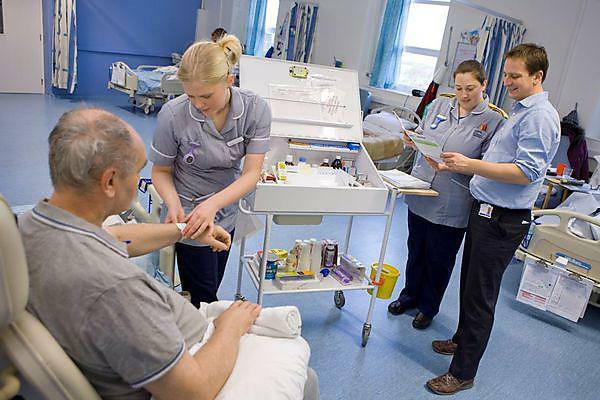 The module supports and facilitates your development and skills appropriate to renal nursing, enabling you to link a higher level of theory, evidence based practice and critical decision making to promote a flexible and individual approach to care. During the module you will develop a higher level of knowledge and skills to provide high quality and evidence based care using a critical and reflective approach. Please note that at diploma level this module is called ‘NURB298 - Principles and practice of renal nursing (specialist skills)’.